Made since the early days of Lusty Lloyd Loom, the Model 22, with its simple square seat and back, is not only suited to the dining room, but any occasional situation. 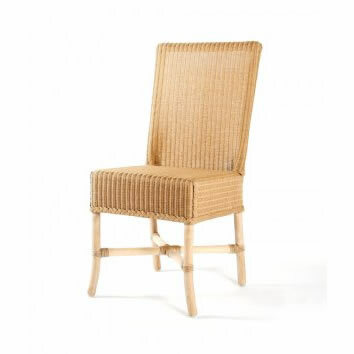 A comfortable, durable and attractive chair, which suits modern and traditional surroundings. Designed by Jim Lusty circa 1930.